When USA signed on for an eighth season of Royal Pains, we learned only eight episodes would be produced, down from the 12-18 the show got during its heyday, but the same number as Season 7 was given. Because last season only earned eight episodes, there was some hope that Season 8 might not be the last for the series, despite rumors to the contrary. 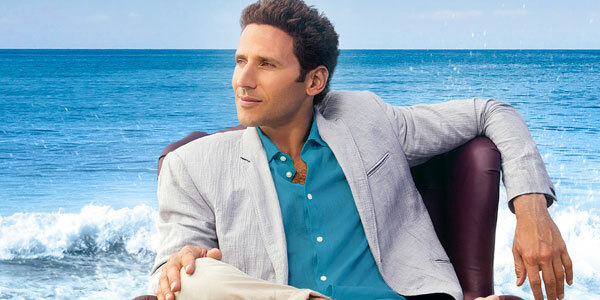 However, earlier this week, USA confirmed that Royal Pains will be ending after this final set of episodes. Obviously, people near and dear to the show are a little bummed about Royal Pains ending, but many of them are also grateful that the show was given such a lengthy run. Here’s how the cast and crew responded to the show’s cancellation. Royal Pains lead Mark Feuerstein came out on Twitter this week to talk about the time he did get to spend on the show, noting he’s just happy that he got to put together one last rap recap for the fans. So grateful for the past eight amazing seasons of Royal Pains - getting to work with people I love & last rap recap. Obviously, you can check out the rap, here, as well. It's with great sadness, but even greater thankfulness, that we prepare for our final summer sunsets as Royal Pains comes to an end. We couldn't have imagined a more talented and dedicated writers' room, cast, or crew, and we couldn't have asked for better partners than USA Network and Universal Cable Productions. Michael Rauch also took to social media, mentioning that he’s just happy that Royal Pains was given eight seasons to tell its story. He also shared some fond Season 1 memories with fans. Season 8 is expected to explore the future of the business in the Hamptons. While the story will need to be wrapped up in only eight episodes, Royal Pains still has a few fun episodes in the cards. One will take the show to Hong Kong and another episode will be a musical episode guest-starring Christine Ebersole and Cloris Leachman. If a musical doesn’t really seem to be the sort of thing Royal Pains could pull off, the episode will feature a patient who begins to see every situation in a musical number, leading to a fun and fantastical episode. Royal Pains is set to return for its final season fairly soon. USA announced this week that the final season will premiere on Wednesday, May 18 at 10 p.m. ET. You can see what else the networks have coming up with our premiere schedule.